Disasters indicate the complex peril of earthly existence. Suffering and risk are global realities. Yet, the biblical depiction of persons and communities as "earthen vessels" also suggests that vulnerable creatures can be strengthened to receive and bear the grace and glory of God. 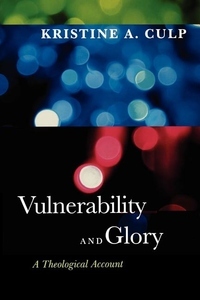 Culp demonstrates how vulnerability to devastation and to transformation is the very basis for life before God. The glory of God may be witnessed in resistance to inhumanity and idolatry, and expressed in delight and gratitude for the good gifts of life.